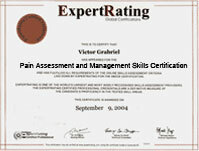 (leading to ExpertRating Pain Assessment and Management Skills Certification). This certificate program is designed to enhance the knowledge and skills of nurses who work with patients who are in pain. By providing an educational experience that examines key issues related to pain assessment and management, this certificate program will gives you the relevant and practical information you'll need to improve your practice and provide the most effective care to your patients. 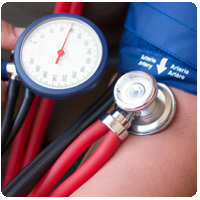 This certificate program is targeted toward nurses of all levels (student nurses, registered nurses, licensed vocational or practical nurses, advance practice nurses, and nursing faculty) and in all positions (staff nurses and nurse administrators). The Certificate in Pain Assessment and Management program includes 6 courses, each 4 contact hours in length, for a total of 24 contact hours. Certificate in Pain Assessment and Management requirements: For taking this instructor led ExpertRating Online Pain Management Course you need Internet access, e-mail, and the Microsoft Internet Explorer or Mozilla Firefox Web browser. Certificate program must be completed within six weeks of the start date. As a licensed master level social worker, can I be certified in pain management and be able to work in that capacity WITHOUT being a LCSW?? This course is meant to provide someone with entry-level employment skills in the subject matter. Employment eligibility would be dependent upon the students prospective employer. ExpertRating is one of the world's only ISO 9001:2015 Certified companies (from TUV America) offering an Online Pain Management Course (leading to ExpertRating Pain Management Skills Certification). When you choose the ExpertRating Online Pain Management Course you can be sure that you are buying a premium International certification that is recognized by hundreds of employers and Government bodies in the US and other countries. With ExpertRating you get certified quickly online and you are equipped with a store house of information through the in-depth ExpertRating Online Pain Management Courseware which has been developed by experienced healthcare experts. The ExpertRating Pain Assessment and Management Skills Certification is by far the best value for money instructor led Pain Management Program at $249.99. 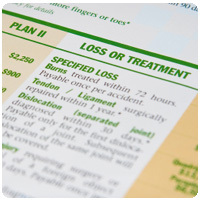 How much does the Pain Assessment and Management Skills Certification cost and what does it include? You can buy this ExpertRating Online Pain Management Course leading to Pain Assessment and Management Skills Certification at a special offer price of only $249.99 which includes the in-depth ExpertRating Online Pain Management Courseware and exam fee. This is the best value for money Pain Assessment and Management Skills Program available till date. 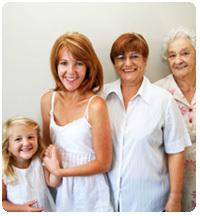 You get the following services within the USD $249.99 fee. In-depth ExpertRating Online Pain Management Courseware including scenarios and case studies. World wide airmail delivery of the hard copy Pain Assessment and Management Skills Certificate. The Pain Assessment and Management Skills Certificate can be used to prove your certified status and does not mention the words "online". The process of getting yourself certified is very simple. All you have to do is buy the ExpertRating Online Pain Management Course for $249.99. Log in to the instructor led course using your password. Go through the ExpertRating Online Pain Management Courseware (which would take you 6 weeks) and complete the final Pain Assessment and Management Skills Certification exam at your convenience. You can complete the exam within 2 months of buying the Pain Assessment and Management Skills Certification. The result of the exam appears as soon as it is completed, and your Pain Assessment and Management Skills Certificate is mailed immediately. Chapter assignments to help you practic0cpy use the Pain Assessment and Management Skills that you will learn during the course. The final exam is fully based upon the ExpertRating Online Pain Management Courseware that is provided along with the Pain Assessment and Management Skills Certification. If you have gone through the courseware properly you should not have a problem clearing the exam. The exam consists of multiple choice questions from 0cp chapters of the ExpertRating Online Pain Management Courseware. Patients should be provided the safest and most effective pain relief possible when they fall ill or get injured. Pain is a subjective term and you feel it only when you get injured or fall ill. Most doctors and nurses fail to assess pain. Pain is a complex interaction of physiological and psychological responses. It is mandatory to find out the exact cause of pain. The discussion in this course focuses on pain assessment and pain management options for the patients. Changes in the nervous system resulting from chronic pain can become self-sustaining. In these situations, pain becomes a disease in itself. Diagnosis and treatment of pain, then becomes very important. This is a valuable course for medical professionals including nurses and medical students. The ExpertRating Certificate in Pain Assessment and Management course will teach you effective tools and techniques to ensure that pain management occurs effectively.